Planet earth is under attack and it’s up to real-life kid heroes, to suit up and fight back! 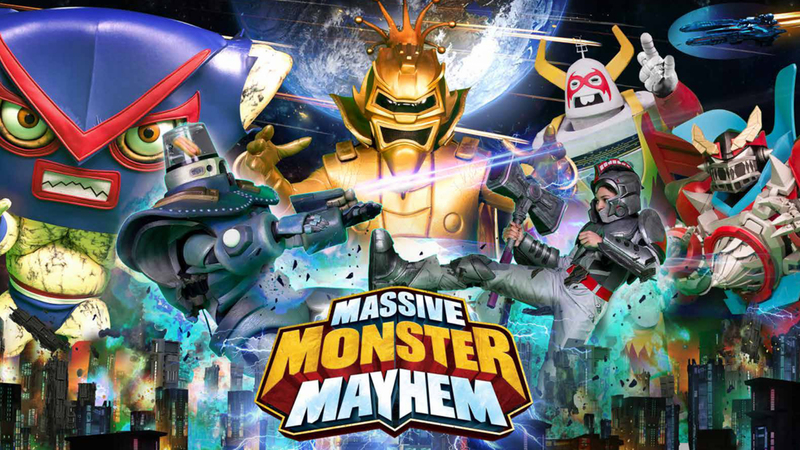 Combining cutting-edge, real-time CGI with pre-visualization technology, Massive Monster Mayhem showcases real-life kids competing in out-of-this-world challenges in hopes of becoming Earth’s champion and winning cool prizes. Contestants are eliminated through a series of three rounds, which conclude when the last player standing faces off against one of Master Mayhem’s colossal monsters. Every episode also features two hosts who provide hilarious commentary during the competition and non-stop hijinks from Master Mayhem and his monsters.